The SNB took part in the European Basketball Union (UBE) meeting last Wednesday and Thursday in Barcelona. The goal: to discuss the issues faced by professional basketball players and to prepare the year to come. In the controversy over the international calendar, UBE chose a common political positioning. 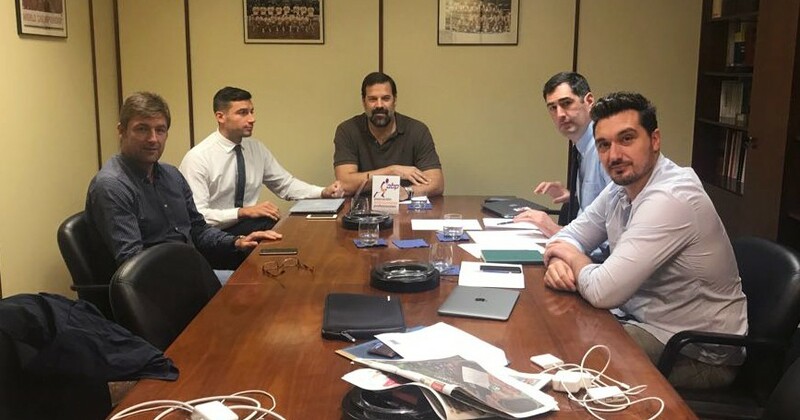 The members agreed that the International Basketball Federation (FIBA) and the Euroleague cannot, just weeks prior to the competition, transfer the responsibility to participate to the players in one or the other of the competitions. The players are attached to their national team jerseys but they have contractual obligations with their clubs they must respect. They risk either a suspension (FIBA) or being fired (club). As players have been totally excluded from all negotiations since the beginning, it is not acceptable at the end to ask them now to choose one or the other. UBE was contacted by the European Basketball Leagues (ULEB) to schedule a meeting as soon as possible. Moreover, UBE will launch a study about the impact of turnover of the players in the European championships. The SNB conducted a similar study on the French championship (Pro A and Pro B) that reveals the average renewal of 64% of a team from one season to the next. With such a turnover each year, how is it possible for a club to have a strategic vision with its business / institutional partners and also its own supporters? How does this high turnover rate impact the competition? The other big news is that from now on, women union are also welcomed in UBE. That will help women basketball players to be represented at a European level and to work to assert their rights on an international scale. Finally, UBE has partnered with UNI Europa and will launch a project on social dialogue in the basketball sector in Europe. The aim is to allow the creation of players' unions in other European countries, to help develop social dialogue at national level and to strengthen the action of unions at European level. For example, monitoring visits will be organized in Finland, Poland, Greece and Lithuania. The UBE was created in 1991 by the Italian union GIBA, the Spanish ABP, the Israeli IBPA and the SNB. UBE was relaunched in June 2016 at the request of the Euroleague players. Basketball players are worried about the impact of the governance crisis of European basketball on their working conditions. Today, the union is made up of unions from Spain, France, Israel, Italy, Switzerland.